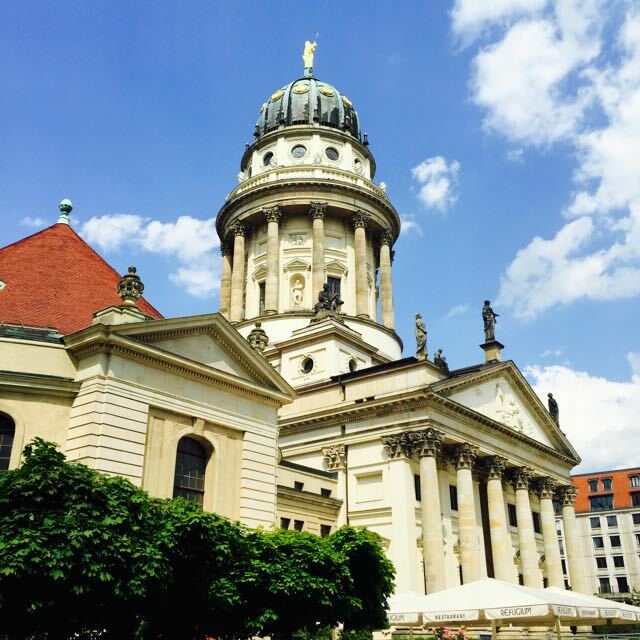 The Gendarmenmarkt is one of the most beautiful squares in Berlin. It is easy to fall in love with it at first sight. This is a place you should definitely visit while you are in the city. You can also admire the beautiful buildings on the skillfully designed square. 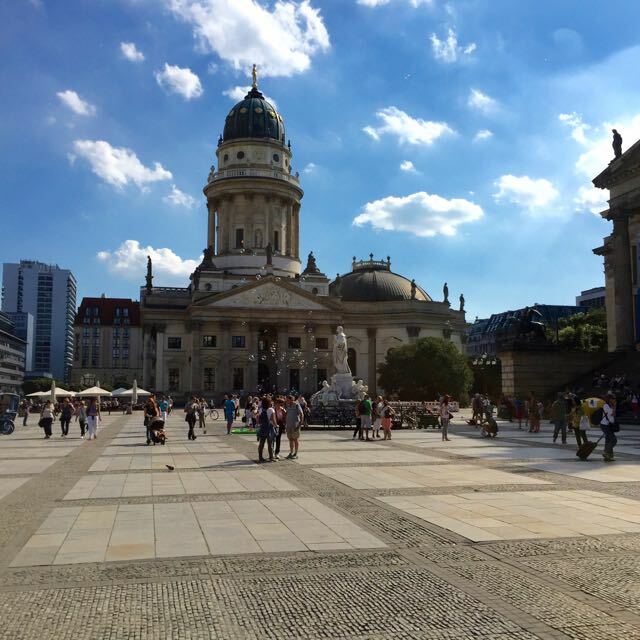 The Gendarmenmarkt was not built all at once but evolved into its current state over time. The result is nevertheless a very harmonic ensemble that is truly enchanting. The square was first created at the end of the 17th century. It was originally designed as a market place. Mainly French immigrants, many of them Huguenots settled here. King Friedrich I. granted the Lutheran as well as the Huguenot congregation each a plot of land on the square to build their churches. The modest churches where redesigned from 1780 to 1785 and two identical impressive towers were added to the buildings. 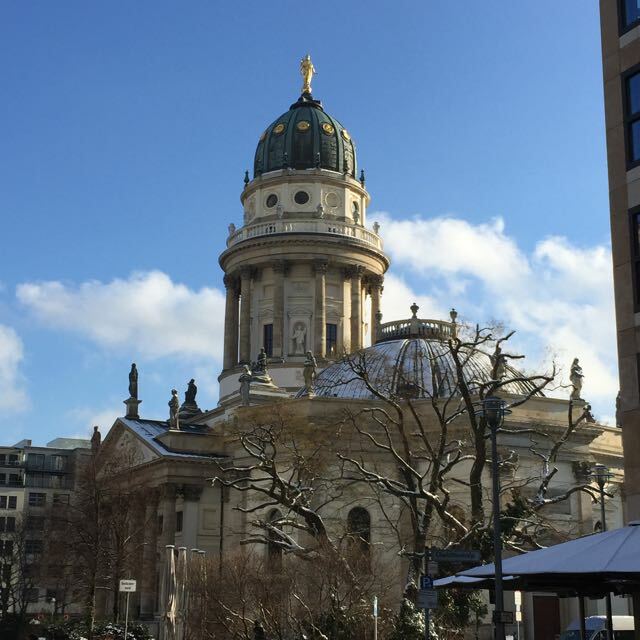 They are the striking characteristic features of the Gendarmenmarkt today. The architectural ensemble is completed by the Konzerthaus (concert hall). It was designed by Karl Friedrich Schinkel and built from 1817 to 1821 to replace the burnt down National Theater. During the Christmas season you can visit a wonderful Christmas market. During summer season there are several classical open air concerts taking place. A lot of nice cafés and restaurants surround the square and Friedrichstraße, with its many shops, is not far.